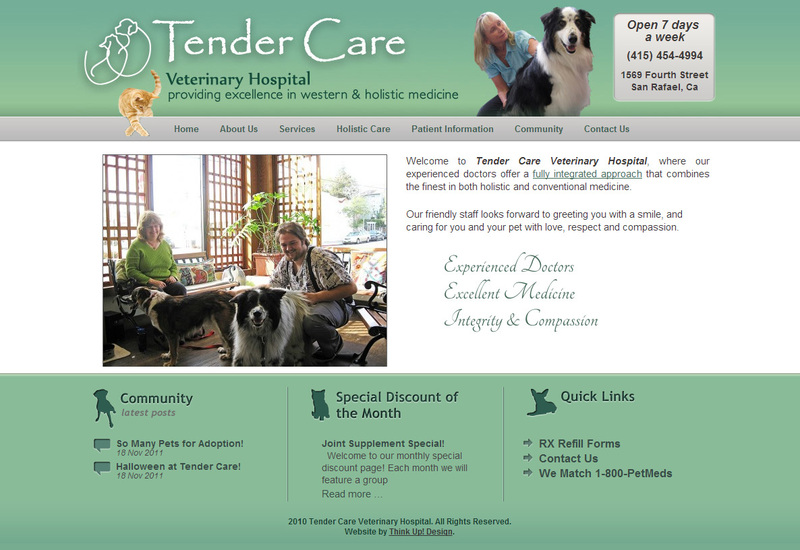 Tender Care Veterinary Hospital connected with Think Up! in 2010 seeking help to develop a website which complemented their current brand and allowed easy management and updates. 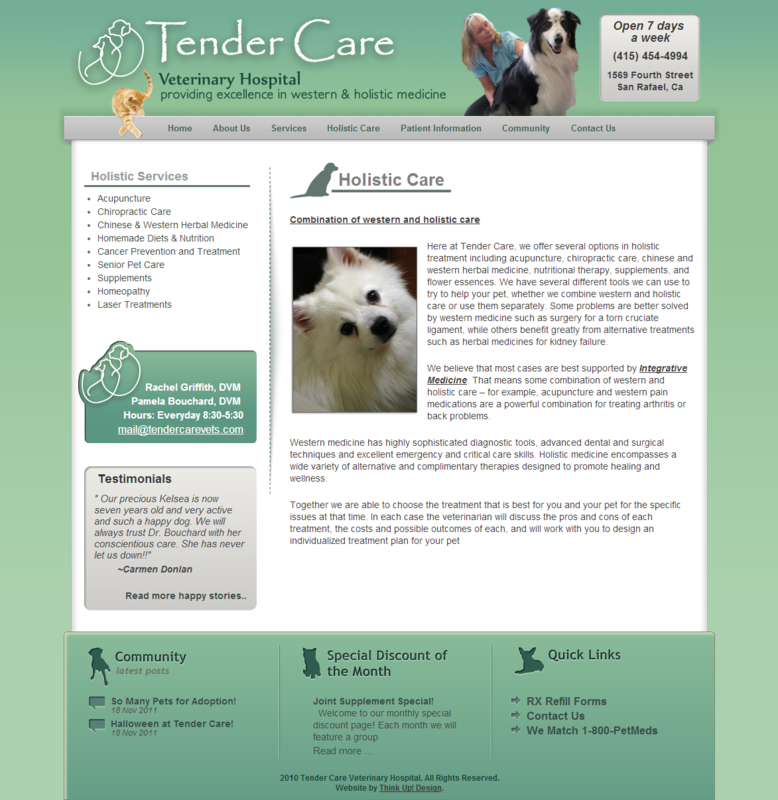 Leveraging the power of WordPress, we completed and executed a design for this holistic pet clinic which exceeded their needs. We also built in an email to fax functionality which used web forms for an easy client RX refill form to be submitted online and then received as a fax in the office. This streamlined the prescription refill process and created a much needed workflow improvement for office staff.